When it comes to exploring the benefits of physiotherapy, White Rock, BC residents turn to White Rock Orthopaedic & Sports Physiotherapy Clinic. We’re one of the largest and longest established physiotherapy practices in the area. Our physiotherapist team is well trained in a variety of injuries and health conditions including pre- and post-surgical rehabilitation, neck and back pain, fractures, dislocations, arthritis, fibromyalgia, work-related problems, whiplash, and more. Some patients seek out a physiotherapist to help with chronic pain while others desire a better range of motion. Others just want to build toward their own personal strength and fitness goals. Whatever the reason you have for trying physiotherapy in White Rock, BC, our professionals can tailor a program that works best for you. Location – Where your physiotherapist’s office is located can make a big difference during your treatment. Is the office on your way to work? Found near your home? If you need more than one or two sessions a week with your physiotherapist, finding an office near you is ideal as it encourages you to attend all your sessions as well as saves on gas and travel time. Relationship – Each physiotherapist is unique and whether or not you like them can affect the way you handle your physiotherapy sessions. Feeling comfortable is important. All physiotherapists are quite knowledgeable about the many health conditions that are treated with physiotherapy, although some may have more expertise in certain areas like sports medicine or kinesiology. Be sure to find someone who is focused on the area you need while providing a welcoming and comfortable atmosphere you can work in. Session Length – A good physiotherapist will be able to educate you on the length of your sessions and how many you will need after your initial evaluation. This will allow you to plan your travel and personal schedule accordingly. On average, a physiotherapy session can last between 30 to 60 minutes depending upon your condition. Talk to our physiotherapist team today to learn more. If you want to get back in the game, you could benefit from sports physiotherapy. 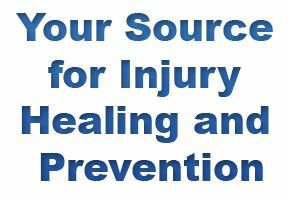 Learn about how therapeutic exercise can effectively treat serious injury. Want to learn more about our rehab services? Learn more about our excellent team that will be helping you. Check out our partnerships and their websites.